Wendy McCarthy AO is one of Australia’s most engaging and experienced keynote speakers. She enjoys talking about issues that matter in our society, including education, gender roles, governance, management, public health, leadership, heritage and mentoring. In 2005 Wendy was nominated by the Sydney Morning Herald as one of Australia’s Top 100 Public Intellectuals. She has worked with government, corporations and community based organisations in education, women’s issues, public health, heritage, media and waste management and she has held national leadership roles in all of these areas. It is this eclectic combination that gives her a unique profile and network nationally and internationally. Wendy has represented Australia internationally at conferences on women’s health and leadership, education, broadcasting, conservation and heritage. In 1989 Wendy was appointed an officer of the Order of Australia for outstanding contributions to community affairs, women’s affairs and the Bicentennial celebrations. 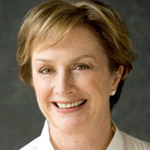 In 1996 she was awarded an Honorary Doctorate from the University of South Australia and in 2003 she was awarded a Centenary of Federation medal for business leadership. 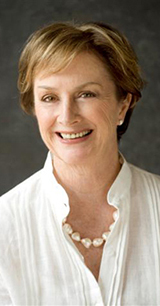 Wendy has published many articles and is the author of five books including A Fair Go – Portraits of the Australian Dream published in 1999 and her memoirs Don’t Fence Me In published in 2000. Wendy is regularly called on to contribute to media discussions on topics of social relevance to Australians. Consumers – Captives or Change Agents? Heritage – Who Benefits? Who Pays? To contact Wendy McCarthy for radio, television, corporate or presentation engagements contact Peter Wall at Wall Media on 0408 489 057.